Join our #skincarechallenge on Instagram! 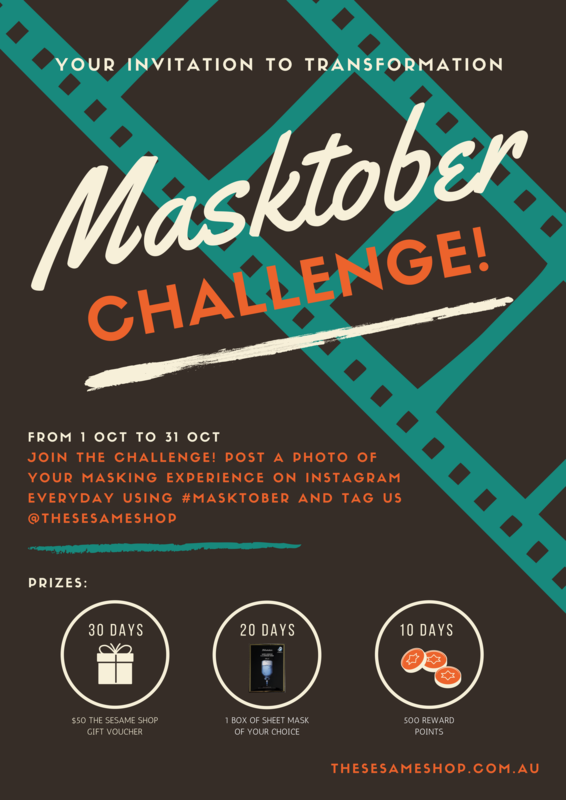 Post a photo of your daily masking experience using #Masktober and tag us @thesesameshop. Participate for accumulated days and receive special gifts from The Sesame Shop!